Hey Kitty, What’s Your Sign? 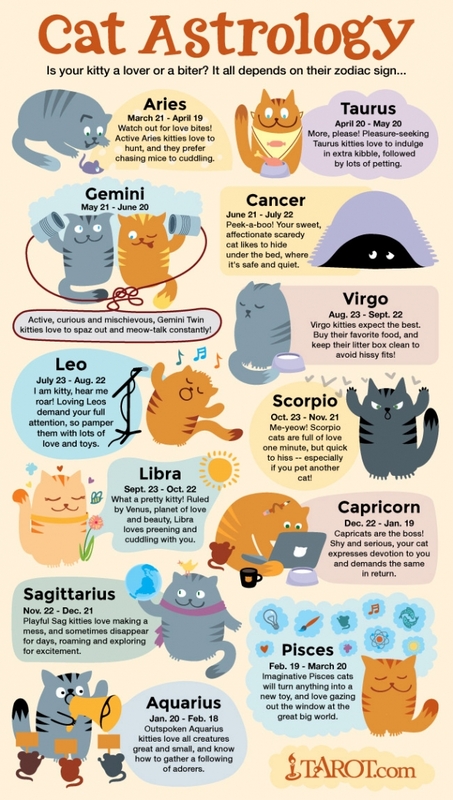 Whether or not you give any credit to zodiac signs, this fun infographic about cat astrology is bound to make you smile. Look for your kitty’s sign; does that description sound anything like him? Even if you don’t know your cat’s exact birth date or month, compare her description to the sign, and you may just have discovered the right match! Next Next post: Enter our NEW Crazy Cat Caption Contest for October!